Quilt measures 42in x 42in Simple four patch block construction is joined with sashing to create a fast and easy baby quilt. Every Baby A OK pattern uses just four 1/2 yard cuts of fabric 1/2 yard of a theme print, then 1/2 yard of a light, medium, and dark. 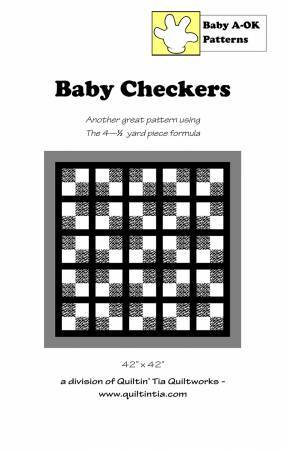 Any bundle that is chosen using the formula will work with any Baby A OK pattern (3 pages).